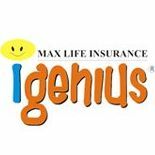 Recognising the growing need of a child’s all round development in today’s competitive scenario, Max Life Insurance has announced the 4th edition of ‘i-genius Scholarships’to reward children who excel not just in academics but also in extracurricular activities. The Scholarships are worth close to Rs.50 Lakhs. The evaluation process of the programme has been conceptualised and designed in association with Derek O’Brien and Associates. The 4th edition of ‘i-genius Scholarships’ is open to all the children studying in Class 3 to Class 8 of government-recognised schools including private, public or national open schools/home schools all over India and also a NRI, resident in India for the duration of the Programme. There are two categories for enrollment- i-genius Juniors (Classes 3 to 5) and i-genius Seniors (Classes 6 to 8). A total of 100 Scholarships and 900 merit certificates will be given away. The registrations for the scholarship programme that will run in three stages, will be open till April 30, 2014. Post the registration the participants will have to give an online examination. Selected participants will then be invited for a video conferencing test with the jury members, who will then select the final participants who will be invited to Delhi for the last round, where the winners will be announced.